The Cape has a number of awesome rivers that are utilised for commercial River Rafting Trips. The Orange and the Breede Rivers are the most popular, each offering different experiences with varied gradings. The mineral rich Orange River defines the border between the Northern Cape and Namibia and runs through the breathtaking landscape of the arid Richtersveld. Here you can expect to spend your days on the river rowing through unbelievably ancient rock formations, conquering a few fun rapids, lazily enjoying the warm to hot weather, swimming to refresh and cool you down and indulge in unbelievable star-studded night skies. The Breede River originates in the Hex River Mountains and meanders it’s way slowly through the picturesque vineyards of the Breede River Valley. This is an ideal way to spend a day and reboot away from the City’s hustle and bustle, rowing, relaxing and enjoying a lunch served on the riverbank. Whether you want to experience a peaceful, relaxing paddle or an adrenalin filled ride through rapids, a river rafting trip is a sure way to free the spirit and relax the mind. 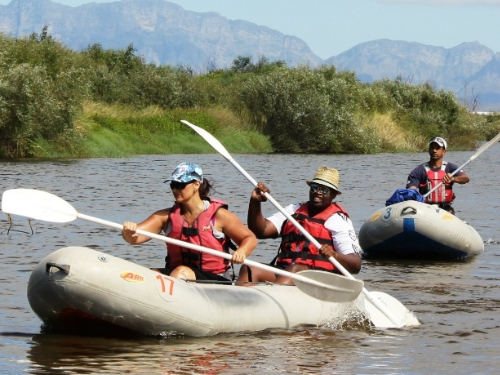 Our Breede River Rafting trail is ideal for a family getaway and corporate team building. The trail consists of a 12.5 km relaxing paddle through a picturesque landscape where fast flowing channels interchange with long pools flanked by willowy river banks rich in bird life. 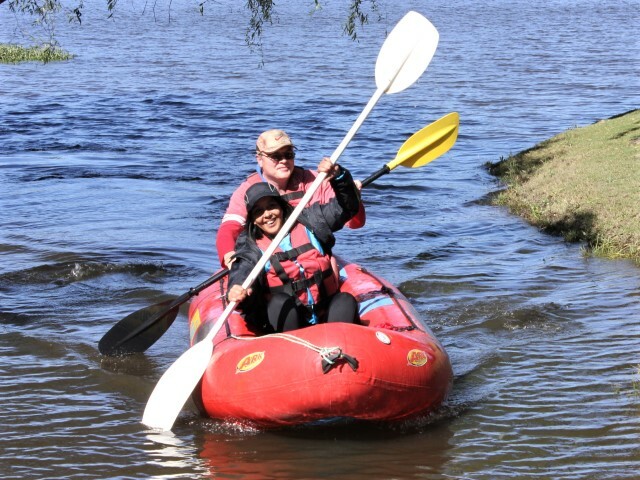 Join Cape Adventure Zone on an Overnight Breede River Rafting Trail near Worcester. The Breede River Rafting is suitable to all ages and sill levels and ideal for your corporate function, team building exercise, special occasion or family weekend away. 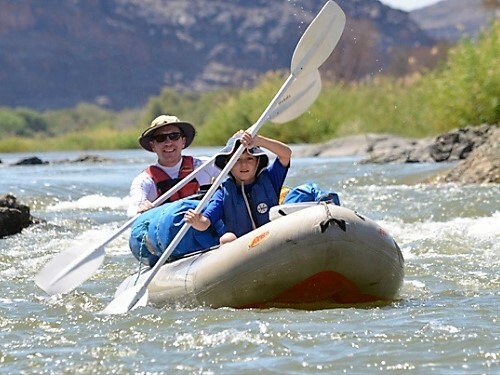 Book your Orange River Rafting trip through Cape Adventure Zone today! This adventure is an epic 3 or 4 day river rafting trip suitable for the whole family. Explore the majestic, ancient mountain desert landscapes surrounding the riverbanks of the Orange River from your inflatable raft.